Anna M. Chernyakova – is responsible for department museum of bacterial cultures. 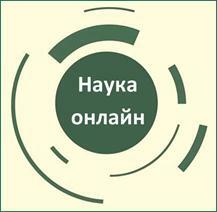 Senior laboratory assistants: Angelina Vovk, Marya Shaposhnik, Olena Gorobinskaya. Laborants: Svetlana Volkova, Iryna Makarova, Olena Vinogradova, Vitaliy Vekshin, Alina Avdonina. Students of 2 and 3 courses of medical and dental faculties are studying on the department. They master the microbiological and immunological aspects of infectious diseases diagnosis. The department created the conditions for in-depth study of the discipline and objectification of the knowledge evaluating system. For this purpose, a single information case has been formed. Each student can get methodical recommendations for practical classes, materials for self-training, a schedule of tests and situational tasks, lecture notes. All methodical materials are published and are in electron variant on the page of the department, in the repository of the KhNMU. Students of the VI medical faculty may obtain methodological materials published in English, manual "Microbiology. Handbook to laboratory classes in microbiology" with the stamp of the Ministry of Health of Ukraine and "Short Textbook of Medical Microbiology ". Methodical materials are available in electron version. Students can use the services of the computer class, which has electronic versions of methodical instructions, a bank of test tasks for license exam "Krok- 1. Microbiology". Assessment of knowledge and practical skills of students is based on the results of test tasks, situational typical tasks, independent work. For this purpose, both traditional methods of control and computer testing are used. The research work of the department is connected with the development and experimental substantiation of new approaches in the comprehensive treatment of purulent inflammatory infections. And it includes the study of the pathogenetic features of purulent inflammatory processes and the study of the influence of physical and biological factors on planktonic forms and biofilms of microorganisms, pathogens of purulent inflammatory processes , in order to increase the effectiveness of antimicrobial therapy of purulent inflammatory processes. The staff of the department actively works on the problem of express diagnosis of etiological factors of inflammatory processes. The types of experimental models of localized and generalized infections have been developed, which, due to complex research, proved the advantage of using combined therapy regimens of suppurative and inflammatory processes. The Department of Microbiology was organized in 1922. Before this the Course of bacteriology was taught at the Department of General Pathology. Founder and the first head of the Department of Microbiology from 1922 until 1934 was Damian P. Grynyov. He published more than 50 experimental works, which were deal with fatty, carbohydrate and water metabolism in experimental tuberculosis, oxidative processes in the extracorporeal processes of the pancreas. From 1934 till 1942 the department was headed by a full member of the Academy of Medical Sciences of the USSR, prof. Mark M. Tsekhnovitser, famous for his work in the field of theoretical and practical immunology and microbiology. From 1944 to 1971, the Department of Microbiology was headed by a Corresponding Member of the Academy of Medical Sciences of the USSR, Honored Scientist of the Ukrainian SSR, professor Vasyl S. Derkach. In 1961, the department organized a laboratory for the study of antimicrobial drugs, which is still functioning today. The main direction of scientific research of Vasyl S. Derkach was studying biotherapy, chemotherapy and immunology. Under his leadership, 6 doctors of medical sciences and 55 candidates of medical sciences have been trained. 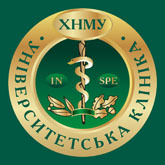 From 1971 to 2012, the Department of Microbiology was headed by the Academician of the Academy of Sciences of the Higher School of Ukraine, the Ukrainian Academy of Sciences of National Progress, the International Academy of Computer Sciences and Systems, the New York Academy of Sciences, the Polish Academy of Medical Sciences, the Honorary Academician of the Ukrainian Medical Stomatological Academy, Honorary Member of the Warsaw Academy of Medicine, Academician of the Albert Schweizer World Academy of Medical Sciences, Doctor of Medicine, Professor, Honored Worker of the Higher School of Ukraine Anatoly Y. Tsyganenko. 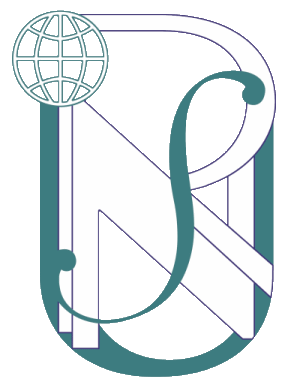 In connection with the transition to a new curriculum from September 1, 1986, the Department of Microbiology was renamed to the Department of Microbiology, Virology and Immunology. The scientific interests of the department staff cover a wide range of research in the field of subcellular and molecular mechanisms of action of antimicrobial drugs, studying the mechanisms of antibiotic resistance development in microorganisms and ways of overcoming it, developing rational schemes of antimicrobial and immunomodulatory therapy.